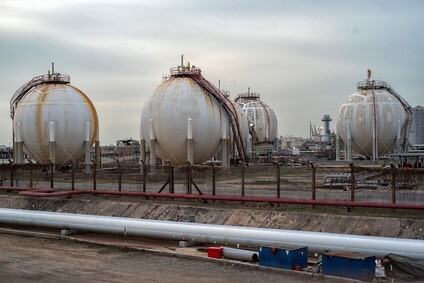 Liquefied natural gas has been growing in popularity in recent years, with many businesses choosing to utilize it for a variety of different uses, most notably for fuel where it can bring several benefits. Liquefied natural gas is a gas which has been cooled to a temperature of -260 to reach a liquid state. It is compressed for storage, meaning that it takes up considerably less space to store or transport than other gases or liquid fuels. LNG will expand to 600 times its compressed size to reach its gaseous state meaning that large amounts can be stored in a relatively small space. In its natural state, liquefied natural gas can contain around 80% methane. After treatment, this can rise to be almost 100%. This exceptionally high methane content contributes to the life of machinery as well as being a much better emission for the environment. There are a myriad of different uses for liquefied natural gas. Everywhere that natural gases are currently used there is an option for them to be substituted for liquefied natural gas which is proven to have a far greater level of efficiency and lower running costs leading to considerable economic growth. The main industry in which liquefied natural gas is used is transportation. Fleets of lorries or ships for example can be run using liquefied natural gas, greatly improving the environmental impact and with a high potential to reduce the transportation costs leading to a high performance essential in a such a highly competitive industry. Other areas which can and do benefit from the implementation of liquefied natural gases include processes, steam recovery, cooking and heating systems in all sectors from industry to hospitality. It is possible to use liquefied natural gas in areas where previously gas had not been a viable option due to a lack of delivery or distributions options. Liquefied natural gas is easy to transport in a greatly compressed state and can be shipped anywhere fairly inexpensively. LNG is non corrosive, non toxic, colourless and odourless all of which gives it significant benefits over other types of fuel. The low temperatures that the gas must be stored at however means that it is best handled by those with training in the use and handling of dangerous materials. Gas is known to be the best fuel type to use in terms of environmental impact, and liquefied natural gas is one of the most effective available being superior to pipeline gas with a greater purity and lower emissions. The difference in emissions between liquefied natural gas and black fuels is significant, showing a reduction in NOx emissions of 80%, particulate emissions are reduced by 75% and greenhouse gasses can be lower by up to 20%. These differences are lower when compared to other types of gasses, but still show a significant improvement. Additionally, spillages are far less of an environmental hazard than would be the case with other types of fuel. Unless in exceptionally large quantities, they require no treatment and will simply evaporate and dissipate into the atmosphere. Larger spillages will contains a large amount of methane which could potentially be harmful to the environment, but even then the impact is far lower than a carbon monoxide based fuel. As a clean fuel, liquefied natural gas will significantly impact the life of your machinery. The engine will be able to run much more effectively leading to reduced maintenance costs and greater time efficiency. It also runs far more quietly than diesel or any other type of black fuel. Liquefied natural gas has been used within transportation and other industries for a number of years without showing any major risks. Fuel must follow safety mandates including safe storage, safe transportation and safe usage. LNG has a proven track record of meeting these requirements in addition to the environmental and workplace benefits described here. For more information, visit LNG Transfer.